Julian Calor is a Dutch wunderkind with talent that exceeds beyond his years. At just 21-years-old, Julian has already set the scene alight with his unique sense of melody and chord progressions that have continued to send his presence surging forward. Sending his early demos into Revealed Recordings, the sound of Julian has since shot through the stratosphere, his #3 Beatport smash 'Tyhoon' garnering millions of stream plays online and capturing the attention of those that matter. With Revealed label boss Hardwell being a supporter of his from the start, it seemed only fitting that the World #1 DJ offered him the chance to construct a spellbinding debut album titled â€˜Evolveâ€™ that presents itself as a release of eclectic beauty. In the single-driven EDM market, tracks can make or break artists in a flash with a shelf life that is often startlingly short - and where it is extremely uncommon to see an artist of this age undertaking a full, debut album release so early on in their career, Julian has worked to achieve a timeless document that will cement itself in Revealedâ€™s history as a stand-out, career-crossroads release, set to propel Julian to dizzying new heights. Presenting the finest work of his career to date, both â€˜Evolveâ€™ and â€˜Cellâ€™ - the first two cuts to be teased from the full-length - soared to take the #2 and #6 positions on the Beatport Progressive House Chart respectively, sending appetites salivating for this hotly-anticipated debut release. With an additional 14 tracks that cover a wide range of musical influences from the club-ready to the euphoric, the atmospheric to the immersive, Julian laces his signature melodic and progressive house with a twist of electro, blending together his trademark musicality for a constantly-evolving sound. 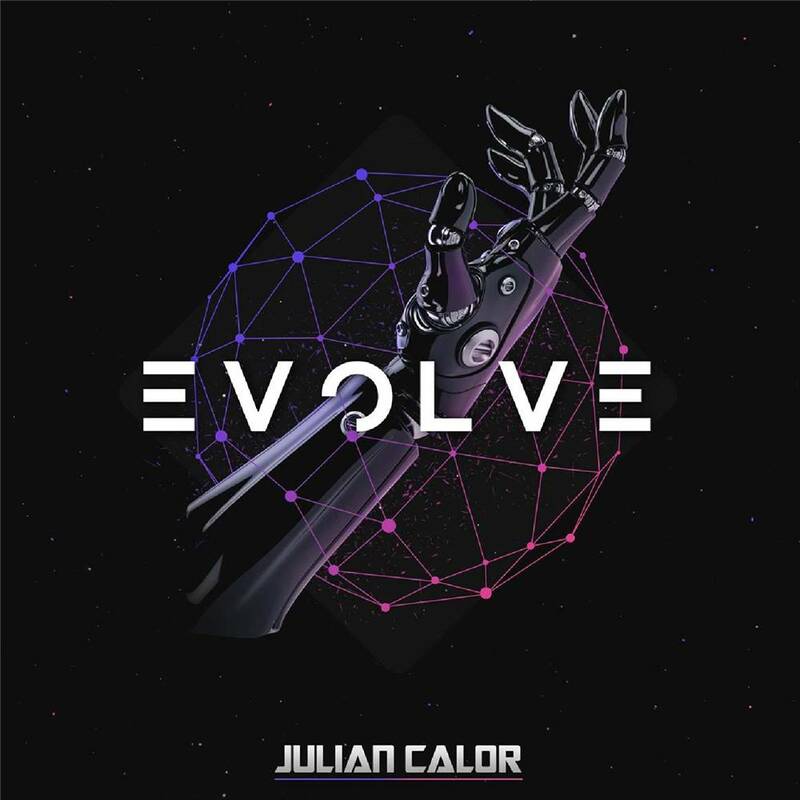 â€œThe album is called Evolve because that is what I experienced during the making of this album, I started producing hip hop tracks 7 years ago and house music 3 years ago, my sound evolvedâ€ Julian states of the projectâ€™s title, adding: â€œWhen playing around in the studio I wanted to experiment with different tempos as well, I felt no boundaries to try out whatever I wanted when making this album'â€ - a self-assured project that held no restrictions, a notion that aided Julian in collating this power package of a release, giving the listener a journey on which to sit back, relax and dream away, yet at the same time will get any dance floor to a higher state. Take the 115 bpm masterpiece â€˜Another Templateâ€™, taking the use of melodies that twist and turn below his signature electro sound, before the unique, down-tempo sound of the electronic-led â€˜To The Coreâ€™ - featuring a striking vocal from Quilla - steers â€˜Evolveâ€™ into yet another dimension. Showing his DJ flair on the album also, Julian brings peak-time monsters such as â€˜Sorcererâ€™ and â€˜Draw Modeâ€™ with its techno-leaning stance, ensure that Julianâ€™s body of work across this debut artist album release is recognized as a document of productions that will truly stand the test of time.